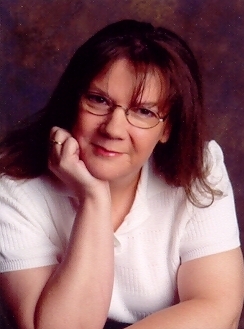 Today I have the awesome privilege to welcome Suzanne Hartmann as a guest on my blog. Welcome Suzanne. 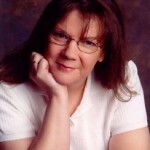 Suzanne Hartmann is a homeschool mom of three and lives in the St. Louis area. She holds a Bachelor of Arts degree in Composition & Linguistics from Western Illinois University. To relax, she enjoys scrapbooking, reading, and Bible study. She began writing fiction when her children were young, and four of her short stories were published in a Milliken Publishing reading workbook. PERIL: Fast Track Thriller Bk. #1 is her debut novel. Whenever an author starts a novel, there will eventually come a point when he or she needs to do some research. Most of the time we search for information on-line or check books out from the library. Maybe an interview or two is in order. The most fun type of research, however, is when it can be made into a field trip. I had multiple opportunities to take “field trips” to gain research material for my novel, PERIL when I began volunteering with Midwest Raceway Ministries. 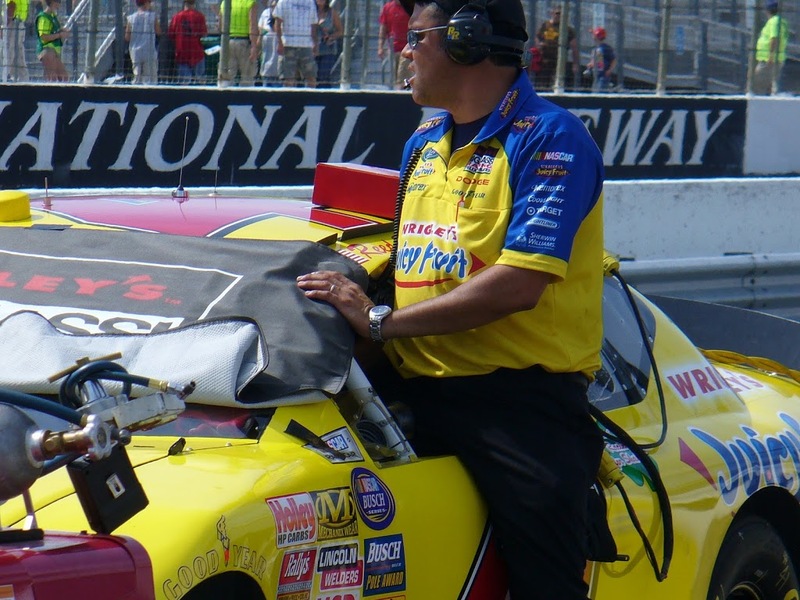 For four years, I worked as a chaplain during the NASCAR Nationwide and Truck races at Gateway Speedway, just outside St. Louis. Not only did I have a chance to attend races, but I was given a Hot Pit Pass and experienced the action from the infield. My favorite part of the “research” was watching qualifying from pit road. After the first race I worked at, immediately went home and made some changes in the manuscript of PERIL. 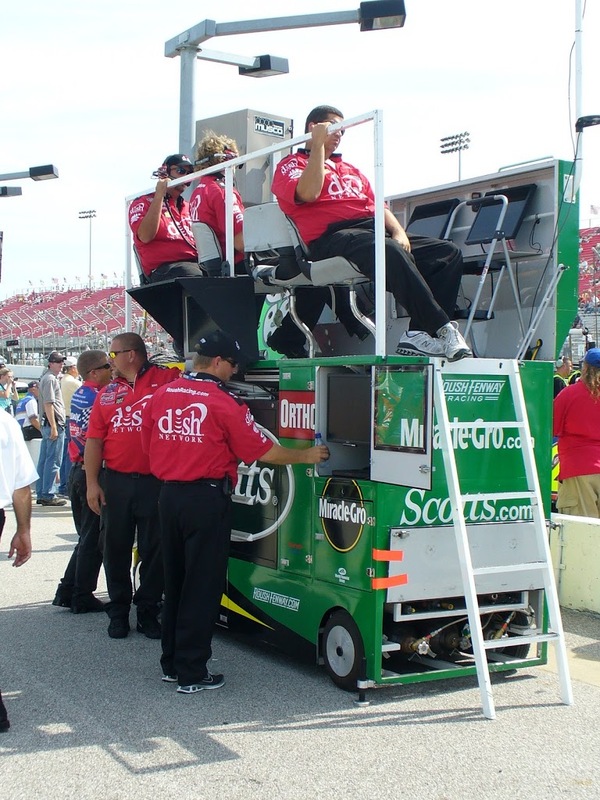 One of the changes had to do with pit wagons, the mobile observation/tool station that crew chiefs sit on in the pit stall during the race. I had a completely inaccurate picture in my head. When I realized how big they are, I completely took out a small section of a scene I’d written wouldn’t work at all because of the size of the pit carts. In the blue and yellow car behind it, a tall crew member had one leg in the car and one leg out as he helped push his team’s car forward. Danger at a NASCAR track. A top secret agent with enhanced strength, who must use her extraordinary abilities during several high-profile assignments, from the White House to NASCAR tracks, while escorting the first Muslim king to convert to Christianity. 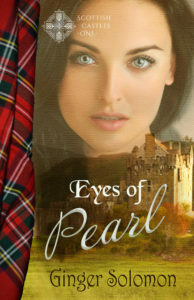 When unwanted publicity and the attention of a NASCAR champion threatens to expose her secrets, she becomes a terrorist target with danger surrounding her on all sides. Thank you so much for coming and giving us an inside look at NASCAR. Where can we find your book on-line? Where can we find you on-line? Thank you for hosting me today, Ginger. It’s a pleasure to be here.